Working Group on the Audit of Extractive Industries. Auditor General of the Republic of Uganda and Chair of INTOSAI Working Group on Audit of Extractive Industries. Mr. John F. S. Muwanga is a Fellow of the Chartered Association of Certified Accountants and a member of the Institute of Certified Public Accountants of Uganda. He also holds a Master of Science degree in Accounting from the University of Glamorgan (Wales, UK). He was originally appointed the Auditor General in 2001 and was reappointed again in July 2007. He initially worked in the private sector for eleven years where he practiced for six of those years as a Partner with Coopers and Lybrand (now Waterhouse Coopers) in Zambia and then in Malawi. Thereafter he worked in the public sector in Uganda since 1994 as a Consultant (Internal Audit Advisor attached to the Treasury), and also held line positions within the Ministry of Finance, Planning and Economic Development as Director Accounts (Accountant General). During 2006/07 he served on a multi-donor program as the Deputy Head at the PEFA (Public Expenditure & Financial Accountability) secretariat based in Washington D.C. at the World Bank Offices. The donor partners included amongst others the World Bank, IMF and DFID. He has served on many committees most notably on the Committee on Budget & Finance of the International Criminal Court based in the Hague (2003 to 2006) and the Institute of Certified Public Accountants of Uganda. He also served as a member of the United Nations Independent Audit Advisory Committee (UNIAAC) for seven years up until December 2014. The UNIAAC comprises of a panel of experts who provide advisory services to the United Nations General Assembly. In addition he also served as a member of the World Bank Multi-lateral Audit Advisory Group. Mr Per-Kristian Foss is the Auditor General of Norway. Mr. Foss served as Minister of Finance between 2001 and 2005. He was a member of Parliament from 1981 to 2013 and has served as a member on a number of parliamentary committees, including the Standing Committee on Scrutiny and Constitutional Affairs (1997-2013), which is equivalent to a Public Accounts Committee in other countries. From 2009-2013 he was the second Vice President of Parliament. In 2005, Mr. Foss was awarded the title Commander of the Order of St. Olav. Mette Gravdahl Agerup acquired her law degree in 1981, specialized in petroleum law. She has been working in several government agencies with a role in the petroleum sector, including Norwegian Maritime Directorate and Ministry of Petroleum and Energy. Within the Ministry of Petroleum and Energy, which has been her workplace since 1990, she has been working within the legal section as deputy head. Agerup is also a part-time lecturer on petroleum law at the University of Oslo. The EITI International Secretariat, based in Oslo, Norway, is a global coalition of governments, companies and civil society working together to improve openness and accountable management of revenues from natural resources. In this role, Bady supports and monitors EITI implementation in eight African countries. Bady is also the Secretariat’s point person for governance of State Owned Enterprises and transparency of oil trades. Prior to joining the EITI in 2010, he worked at the Central Bank of Guinea, the German Development Corporation, and as a consultant at the World Bank. In 2012, Bady was seconded as an expert in Natural Resources Governance in the Governance, Economic Reforms and Financial Management Department of the African Development Bank in Tunis. He holds a Master’s Degree in Public Administration in International Development from the Harvard University Kennedy School of Government and a “Maîtrise en Gestion des Entreprises” from the University of Conakry. He is fluent in English, French, and Fulani. Bady is a native of Guinea, and is married with two children. Yashodhara Ray Chaudhuri joined the Indian Audit and Accounts Service in 1992. She has worked in different capacities in field offices under the Comptroller and Auditor General of India since. Currently working as Principal Director of Commercial Audit in the sector of Coal and Oil mining. She had undergone Auditor Fellowship Program in GAO, Washington DC in 2002 and has conducted external audit of International Organisations . She lives in the eastern part of India now, in the city of Kolkata. Trygve Christiansen is working with the International Division in OAGN. He is actively participating in the petroleum audit programme in OAGN, and has been working with capacity building of the National Audit Chamber of South Sudan. Previously he had been working in the AFROSAI-E Secretariat, mainly as a regularity audit expert. In AFROSAI-E Trygve was also involved in developing guidance material on audit of extractive industries. Dan Devlin is an economist with 15 years’ experience advising governments on public policy. He joined the OECD in 2014 as a Senior Economist in Natural Resource Taxation, moving from the Australian Treasury. From 2011-2013, Dan was seconded to work with the Indonesian Government as a revenue adviser within the Indonesian Ministry of Finance, primarily working on options for Indonesia to improve resource revenue settings. Dan has also worked on analyzing the economic and fiscal impact of oil and gas projects in Papua New Guinea and Timor Lesté, and forecast revenue from Australia’s Petroleum Resource Rent Tax. Doornbos has a bachelor’s degree in social and cognitive psychology and a master’s degree in Sociology with a specialisation in policy and consultancy. In 2009 he started at the NCA as performance auditor on defence. He switched to NCA’s audit sector of Economic Affairs. Among other things Mr. Doornbos has contributed to audits on Dutch gas infrastructure investments and the governments supervision on managing the national high-voltage electricity network. Further he also monitors the Dutch extractive industries and contributes to a training programme for NAOT on extractive industries auditing. 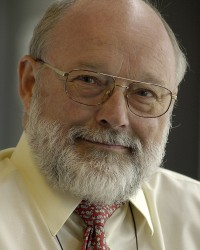 Engeseth has been a Director General in the Office of the Auditor General of Norway since 1995, responsible for financial audit of a wide array of government ministries. Between 1979 and 1986, Mr. Engeseth was a full time auditor at the International Board of Auditors at NATO in Brussels. He later became a member of the NATO Board of Auditors (1991 to 1995), serving as Chair in the last two years. Mr. Engeseth has been member of the Board of Auditors for OECD – Organisation for Economic Cooperation and Development, CEB – Council of Europe – Development Bank, Chairman of EBOA – EFTA Board of Auditors for several terms until the end of 2011. He has been the responsible auditor for the audits of INTERPOL, IOM – International Organization for Migration, CERN – European Organization for Nuclear Research and European Molecular Biology Laboratory/Organization/Conference. He currently serves as a member of SACA – Standing Advisory Committee on Audits – at CERN Council in Geneva. Bjørn G. From is an investment director within the Norwegian Ministry of Finance. He holds a master degree in business and economics from the Norwegian School of Management and a post graduate degree in economics from a German university. Before joining the Ministry of Finance in 2004 he worked with a large accounting firm in Norway, as a consultant with McKinsey & Company in Germany and within investment banking in Germany. Ingvald Heldal is the Coordinator of the Community of Practice at the INTOSAI Working Group on audit of Extractive Industries. He has previously worked with coordination and project management at the UN Program for Human Settlements, World Food Program, the UN High Commissioner for Refugees and Norwegian Refugee Council. He holds a master degree in law and an MBA. Hytten heads the risk assessment group in the petroleum and energy sector at the OAGN. She is originally from Switzerland and holds a master in political science from the University of Oslo and a bachelor’s degree in business management from the University of Lausanne, Switzerland. Kateregga is Director of Audit at the Office of the Auditor General of Uganda and member of the OAGU Top Management Team. Kateregga provides strategic and technical direction in the value for money audits of government funded programmes, institutions and investments. Some of the key values for money audits he has been involved in include; implementation of national content in the oil and gas sector by Ministry of Energy and Mineral Development, Management of disposal of waste in the oil exploration areas, Management of Public debt, Implementation of the National Budget and various audits relating to Management of the Environment, Oil and Gas. Kateregga holds a Bachelor of Commerce Degree, post graduate diploma in computer science and Master of Business Administration Degree. He is also Fellow of the Association of Chartered Certified Accountants UK (FCCA) and Member of the Institute of Certified Public Accountants of Uganda (CPA). Kirkvaag is part of the Oil and Energy Group at the Oslo office. He primarily provides legal assistance as a consultant for governments in developing countries regarding legislation, supervision, regulatory questions and the structuring of the oil and energy sector, particularly regarding production sharing agreements (PSA), royalty questions and legal structure. Kirkvaag has previously worked for the Ministry of Finance, OECD and TOTAL Norway. Klev mainly works with petroleum economic issues, and in particular petroleum taxation, government support, valuations and financial modelling. Klev has been engaged as a petroleum economic advisor to the South Sudanese Ministry of Finance since 2013 assisting With budget planning, petroleum taxation insight, petroleum revenue management and implementation of petroleum related legal framework. Prior to that, Klev was the petroleum economic advisor to African Union High Implementation Panel in the negotiations between Sudan and South Sudan after South Sudan’s secession in 2011. Kristensen is part of the Oil and Energy Group at the Oslo office. She primarily provides legal counseling to energy companies and other related industries. Kristensen wrote her master thesis in the field of Norwegian tax law as a policy instrument in the management of natural resources. Figueiredo has been working the Federal Court of Accounts (TCU – SAI Brazil) as infrastructure auditor for 10 years, including 5 years as director of oil, gas and mining (regulations technical unit). He has large experience on performance and compliance audits, as well on the analysis of oil and gas bidding rounds (concession and production sharing contracts). Figueiredo is a former international trade analyst – Ministry of International Trade (3 years). Maxwell is a Certified Public Accountant and a member of the Institute of Certified Public Accountants of Uganda and the Institute of Certified Public Accountants of Kenya. He holds a Master of Science degree in Accounting and Finance of Makerere University Kampala, diploma in Business studies and another diploma in Performance Auditing. He is the current Director of Corporate Services and Heads the secretariat of INTOSAI working group on Audit of extractive industries (WGEI) in the Office of the Auditor General of Uganda. Maxwell previously served as Audit Manager in the directorates of Value for Money and Specialized Audit and Local Government Audit for five years. Maxwell is also former Manager of Quality assurance and Audit development department in the office of the Auditor General of Uganda. Maxwell joined the Office of the Auditor General in 2004 from Local Government financial management and Internal audit having held positions as Chief Internal Auditor and Principal Finance Officer for over ten years. Maxwell draws part of his experience in service from the Private Sector having held a number of positions in various organisations including Accountant; Administrative officer and Institute Lecturer of Accounting. Maxwell is currently undertaking an academic research in public accountability on the subject of citizens’ behaviour and public accountability with focus in decentralized local governments. Willy Olsen is the former Senior Advisor to the President & CEO of Statoil. He joined Statoil in 1980 after 15 years in journalism. During his time at Statoil Willy held a number of senior positions, including Managing Director of Statoil UK and head of Statoil’s activities in the former Soviet Union. Willy Olsen has an in-depth knowledge of the role of national oil companies. He has been a member of various advisory boards on Caspian and Russia, and has been a Governor on the Board of the Oxford Energy Institute. Mr Olsen is now the Senior Advisor to INTSOK a foundation owned by the Norwegian government and Norwegian oil industry. INTSOK is coordinating the efforts of expanding the internationalisation of the Norwegian petroleum cluster. He is an Associate Fellow of Chatham House in London and member of the Governing Board of the Revenue Watch Institute in New York and has, in recent years, worked with Governments and national oil companies in several oil producing countries. Eli Wærum Rognerud heads the newly established Petroleum Programme within the International division of OAGN, and has been managing the collaboration with OAGU. She is also involved in evaluations and training activities within the division. She has previously worked as a journalist in Norway and with the United Nations as a program manager, mainly with education in post-conflict and post-disaster situations. Ole Husebø Schøyen has worked at the Office of the Auditor General of Norway for seven years. He has worked in the AFROSAI-E region for two years, running programs for Peer review and extractive industries. Sjongs profession is as a geographer educated at NTNU (Norwegian University of Science and Technology) in Trondheim. She has worked with the NEA since 1988, covering diverse aspects of nature management. The last ten years Sjong has mainly worked with environmental impact assessment issues related to large developments (mainly renewable energy projects), and related to regulatory framework and methodology. Stigset has been with Norad since 2009, subsequent to two years as International Programme Director with Save the Children Norway. He worked for thirty years in the international petroleum industry, initially as process engineer and project director on large projects in Norway, later in senior management positions internationally. Stigset holds a PhD in Chemical Engineering from University of Manchester Institute of Science and Technology (UMIST). Struwig has 12 years of experience in the public sector audit environment and are appointed as member of WGEI. He has served as technical specialist in the audit research and development business unit of the Auditor-General of South Africa. In the role as a senior audit manager he has a role to take responsibility of the completion of a portfolio of audits, which consists of oil and gas, nuclear, aviation and forestry industries. The core audit responsibility is to ensure that all audit engagements are conducted in line with the required standards, legislation and adds value to the audit clients. Struwig has also been responsible for research and training initiatives at the Auditor-General of South Africa around compliance auditing. He completed a Master’s degree in taxation and successfully complete a mini dissertation called “A comparative study of income tax legislation for foreign oil and gas companies investing in Africa”. Jostein has 10 years of experience in conducting performance audits in various sectors in Norway. He has worked two years as a long-term-advisor for the National Audit Office of Malawi. Currently he is part of the OAGN petroleum programme and especially involved in performance audits in Uganda. Beate Thoresen works as Senior Advisor on Policy and Programme Development in Norwegian Peoples Aid (NPA). She has long experience working with social movements and NGOs that mobilise for a just distribution of power and resources, especially from Latin America. She is a political scientist and is editor of the NPA report “Inequality Watch”. Mona Thowsen is the secretary general of PWYP Norway. She has been leading the secretariat since its start up in 2006. Areas of work are knowledge production on secrecy mechanisms companies may use in order to not be taxed and which transparency mechanisms governments may use to address such leakages, international capacity building programmes on extractive industry transparency, political advocacy and communication. The Community of Practice (CoP) is a new initiative from the WGEI where the aim is to facilitate knowledge sharing on audit of the extractive industries sector. The CoP now has a full time coordinator working from the offices of the WGEI secretariat at the Office of the Auditor General in Uganda. Office of the Auditor General.